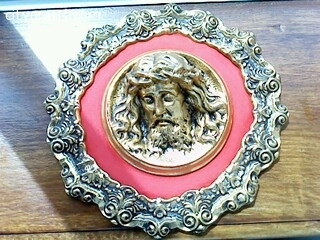 28 cm x 28 cm (11.02 by 11.02 inches) Painting with brass frame crafted and carved by hand with Jesus Christ's face weighing 1.8kg (3.97 lbs). 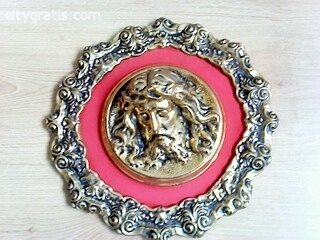 Like new, very weel preserved. I accept Lances ou offerts. El anuncio expira en: -1200 días.